The leaves on the ground, all different shades of autumn, are telling me it’s once again the season of change. Of letting go. Of shedding the old in order to grow new. I’m shedding things I didn’t know I’d be shedding this year. The city I called home for the past 3 years, my cozy apartment, my furniture, my friends, my church family, any sense of security I felt I had at one point. Some of them will come back in the seasons to come and some will find new homes along the way. I’m thankful for this season of change. For shedding the things that no longer fit me. Change. I crave it, we all crave it. But I’m also scared to death of change. Of letting go of what’s comfortable and trusting God to take care of the rest. Trusting that I won’t fall on my face. Trusting that every piece of the puzzle will come together one way or another. This year, fall appeared out of nowhere. One day the leaves were green, the weather was warm, the sky bright and the next, the leaves turned shades of orange and red and yellow, and the air, crisp and cool. In a way, that’s how this season of my life felt. Like a sudden change. Out of nowhere. But, it wasn’t out of nowhere. God’s been planning this all along. 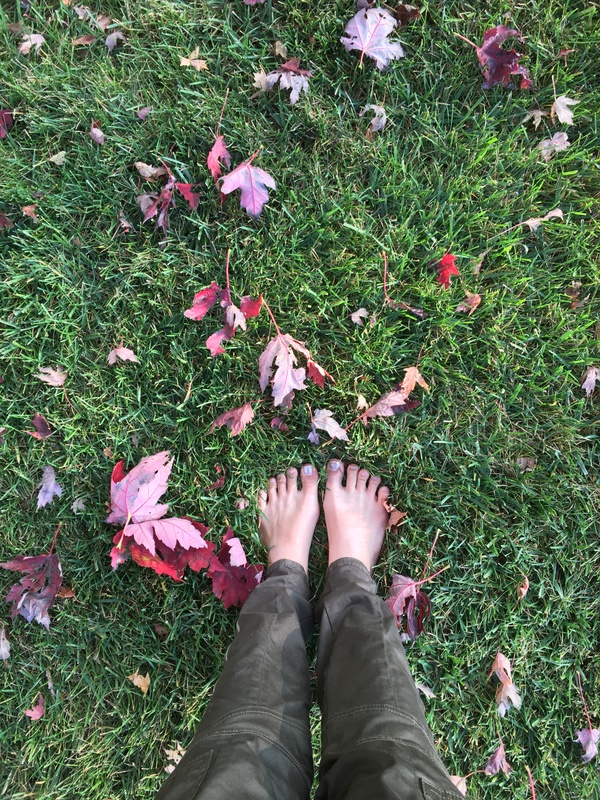 It actually took me quite a while to embrace the season, to act on the change I knew was happening on my heart. And now, here I am. Sitting on the front porch of the house I grew up in. Looking out at the red and orange trees dancing in the wind. Soaking up the feeling of finally letting go of the control. It’s never easy to let go. After all, when God has something in store for us, he’s going to ask us to trust Him first. To shed those summer leaves and wait patiently for the magic of fall to begin. What has He been calling you to this season? Do you feel a pull on your heart to let go. To embrace the change? Go for it.